Happy Sunday! Its time to get those meals planned all out for the week. One of my all time favorite salads is included in this weeks menu. I could eat this Caprese Salad every day of the summer and be a happy girl. Super simple to make for lunch, dinner, or as a side. 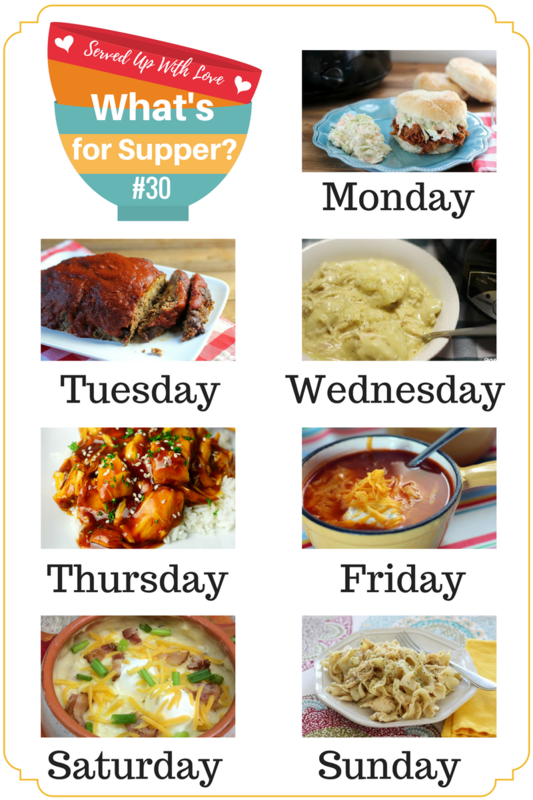 We have a few crock pot recipes into the mix this week along with some dessert. Hope you have an amazing week!